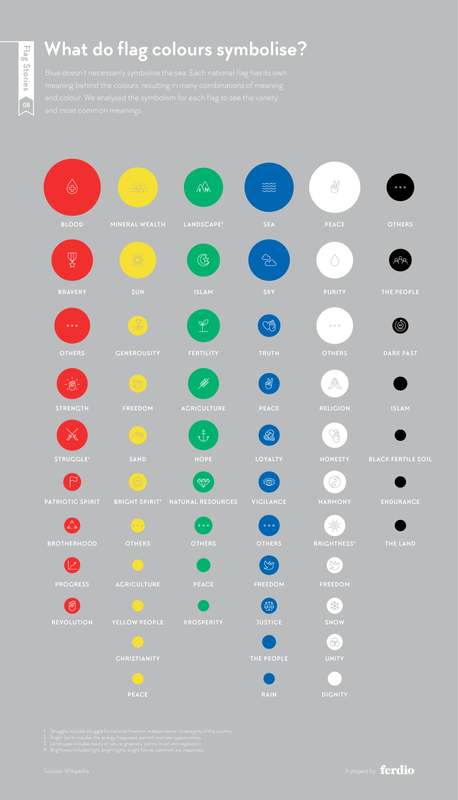 Flag Stories — a project by ferdio, an infographic agency. Strangely enough, purple is not represented at all. Two thirds of all national flags include a symbol. Basically we started looking at all the flags in the world and squeezed all the data we could possibly gather in to a blank spreadsheet. The more we dug into it, the more stories we managed to reveal, so our plan is to keep digging and continuously adding new stories to the project. 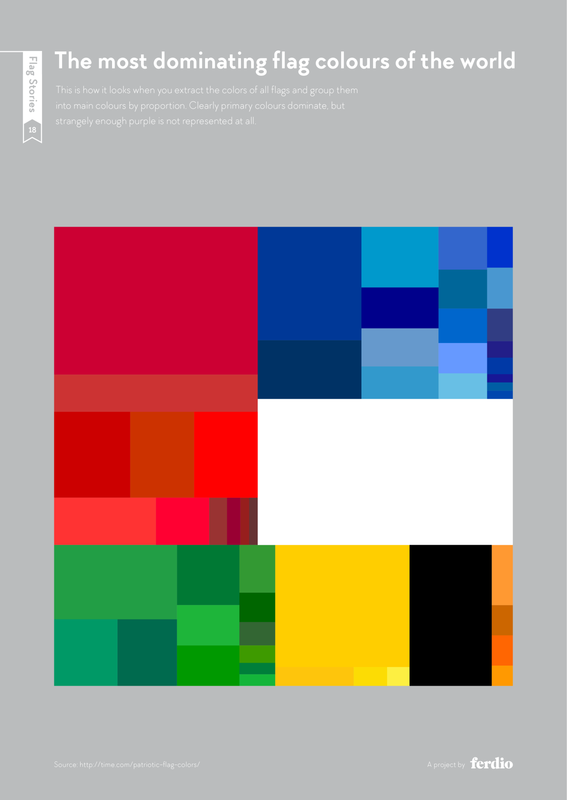 Hypothetical flag designs, each representing an entire continent using the most common colours, symbols and layouts used within that continent. One third of all flags belong to seven main families. Each national flag has its own meaning behind the colours, resulting in many combinations of meaning and colour. Most colonies used the same proportions as their colonists. 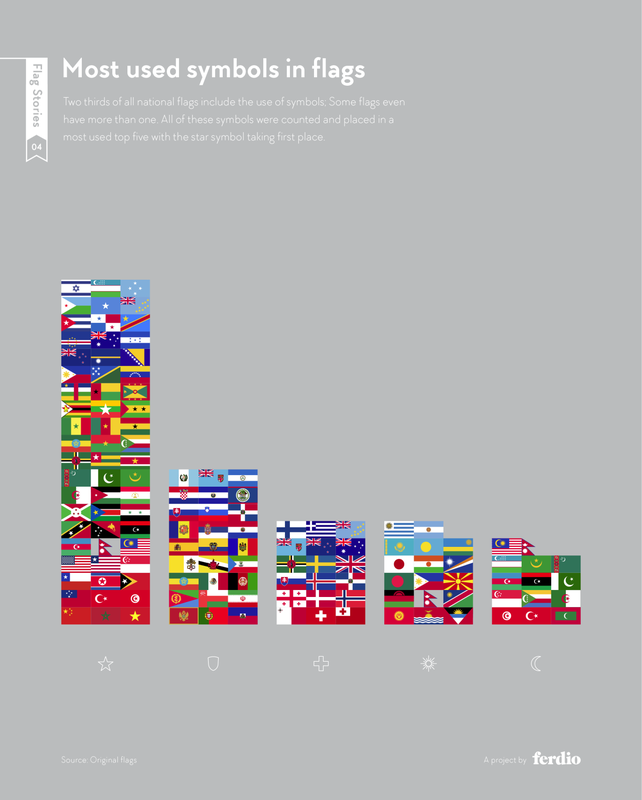 The Flag of Planet Earth — Oskar Pernefeldt’s graduation project at Beckmans College of Design. Airport Codes — Every airport has a unique three-letter IATA code. Some make sense if you know the city or the name of the airport and others, well, what the heck? 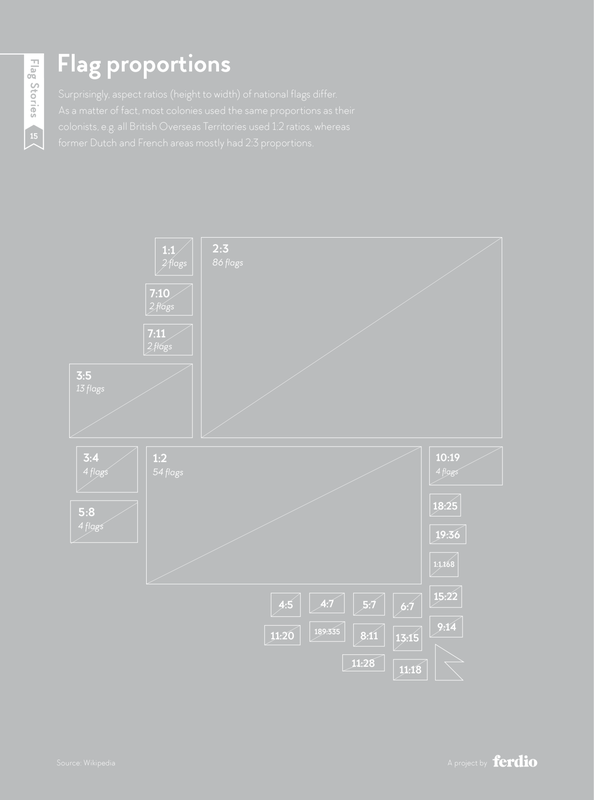 Mapping the Online World — an atlas redrawn according to the number of registrations within each country’s internet domain* — whether .uk for the UK, .de for Germany, .cn for China, and so on.